New Delhi: India's Mahendra Singh Dhoni won plaudits on Wednesday for a match-winning knock against Australia that raised expectations the veteran will play his fourth 50-over World Cup this summer. The 37-year-old wicketkeeper-batsman kept his usual cool during an unbeaten 54-ball 55 as India chased down Australia's 298 in the second one-day international in Adelaide on Tuesday. 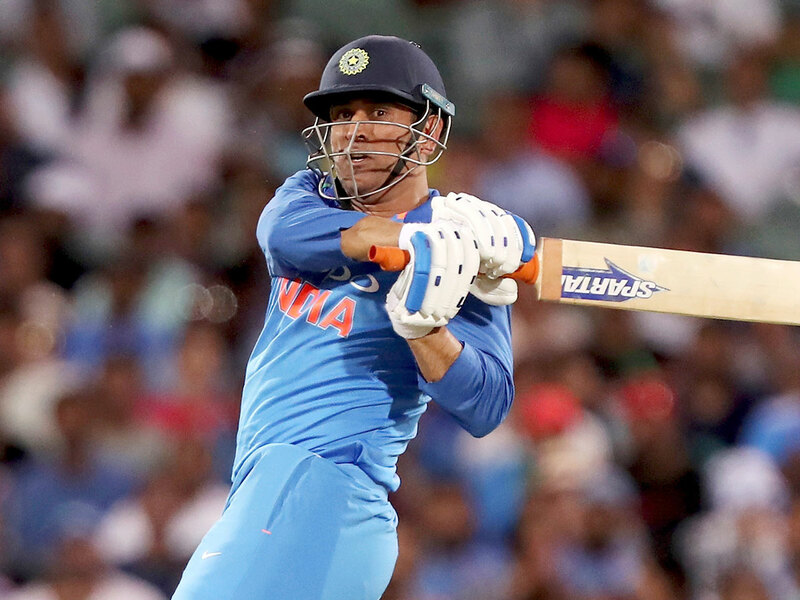 Seen by some as losing his ability to finish matches, Dhoni rolled back the years and secured the win with four balls to spare as the tourists levelled the three-match series. The Indian Express headlined its report "Dhoni finishes, the Mahi way", using his nickname, and the Mail Today said the former captain's innings was "Just Like Old Times". Some observers have suggested India have better options behind the stumps and with the bat for the upcoming ODI World Cup in England, but former skipper Sunil Gavaskar thinks otherwise. "Only those who are not really cognisant with the value of Mahendra Singh Dhoni will be asking this question," Gavaskar told TV channel India Today. "In the Indian dressing room, in the think tank that is the selection committee there is no doubt that Dhoni will be part of the Indian team for the World Cup." Following his debut in 2004, Dhoni quickly became one of India's key players, captaining the side to a World Cup win in 2011. He quit Tests in 2014, and stepped down as the limited-overs skipper three years later. "The consistency you might have at a younger age will obviously not be there and you have to bear with that," added Gavaskar. "But he is still tremendous value to the team." Australia downed India by 34 runs in the first ODI in Sydney, where Dhoni was criticised for his 96-ball 51. But he rose to the challenge in Adelaide, building crucial partnerships in an innings skipper Virat Kohli described as an "MS Classic". "We know he can absorb the pressure and release it back to the opponents when the time is right," said Dinesh Karthik, who was at the non-striker's end as Dhoni hit the winning run.